Here is a list of all the postings Niels Abildgaard has made in our forums. Click on a thread name to jump to the thread. Plan is to have Diabas+WM180 slowly revolving (Solar array of course) on my grave. The dog demanded walking so I did not finish within the edit allowed window. Why bother with new chineese when world is full of old My- and Boxfords? On the WM 250 on stone there is no runout close to headstock on my Swiss Tesatast. On the bar far end it has moved 0.005 mm out and oscilates plus minus 0.005mm. The WM180 straigth out of box and no stone is still zero close to headstock and 0.01 plus minus 0.008. The 0.01mm stationary error can easily be shimmed away when it meets its stone. Concavity on the WM250 facing two 100mm disc are around 0.01mm each. The WM180 is around double but still concave. The bedways are definately harder than on Boxfords. The WM250 was 850€ from Holland and the 180 was in Denmark ca 1000€. Both came with three and four jaw,faceplate and two steadies. Am getting older so it is some kind of race. I gave a very well performing Boxford away and got a new and younger WM 250 six speed lathe. It has got a VFD and a stone to sit on.Plus a much better compound slide arrangement. A M16 Unbrako 12.9 bolt has had its head reduced 2mm in diameter and surface is at least as good as the Boxford can do. It has a spindle with 21mm hole and MC3. I want to have 27mm hole and ER40 instead. I have slowly to admit that parts are getting to heavy. A WM 180 has entered my house and will be put on stone and get a VFD plus AC motor. It is intended to make it turn better than Boxfor or WM250. Thread: Does a 1600rpm bantam have a single v belt? I got an old but unused 2hp cast iron Brook Crompton for a really good price). I found two old motors and they smellt very bad being VFD-ed. I then bought a new and total happines. How old is the motor? Thread: seals for mini lathe tapered roller bearings? There was about 0.05mm clearance between staionary headstock parts and rotating spindle parts. It was part-filled with grease from factory and sold as Sealed and Greased for life needing no further attention. Mine worked fine for ten years on two teaspoonfull of grease. The drawing shows a very early model.There is two things that look like contacting felt rings. There was neither felt rings or cut outs for them in my lathe. My WM240B arrived and is now set up, cleaned and checked; all seems ok. The Warco process was faultless, ordered and arrived within one week. If the lathe and mill spindle-noses were changed from Morse to ER everything will be better I think. MT3 machined for ER32 and ER25 for former MT2s? Same change for Milling machine . Thread: HY Series (Huanyang) VFDs, setting maximum speed? Thank You Andrew for explanation that made me understand the chinese/english manual better. Programme step 009 sets a voltage and 006 a frequenzy. At this point the voltage/frquenzy curve can can be made to have a kink(both directions ) or none. I only used the lathe a couple of times before I put a switch in the fan lead so I could turn it off when the lathe was not running. I have since fitted an electronic thermostat so the fan only come on when the VFD heatsink gets hot. I have set it 40 degrees and so far the fan has come on only once! I use the VFD over an output frequency range of 5 to 150Hz and experience no motor overheating eat all. At low frequency the motor torque is low so its never going to be doing much heat generating work, at higher frequencies the fan is turning faster so the motor looks after itself. The low torque/low Herz problem can be eased by upping PD009. I tried it first with 5V and could stop the 125mm chuck with one hand when at 5 Hz. It has been set to 22 V and I cannot stop chuck with two hands. The translated manual uses more words than elsewhere to warn agaist being to greedy and put in a to high value here.Can someone here explain what is at take? To make 90 Hz max I have had to program PD 072 to 180Hz. Niels, this video shows the cone arrangement and problems with it. It is as I thougth but it is nice to see it clearly. I have a piece of 16MnCr5 ready. I do not use QCTP with tool overhang either so I will make one more for a friend. Thats an awfull nice picture of a very well engineered slide system. It does not show the Boxford locking screw/cone very well.Does someone have a picture of underside of compound slide base with integral cone please? Thanks Phil, yes it is KPEV, I like the one you posted but I guess I am not sure if it is appropriate to paint the number version loco in the lined scheme? It was an A section Powertwist belt.. It could drill 20mm holes in mild steel from14mm. Going from 12 to 20 was a marginal affair. Belt tension was not high as I liked the slipping when I made something stupid. I have stalled a 4 pole 0.75kW motor once.The white video one. Powertwist A belts cannot go round smaller than 60mm pulleys. Do You have a drawing of the drive system? My Boxford back-gear system was only used for unscrewing chucks,faceplate etc. When starting with both backgear and direct drive engaged, belt slip was a benefit. My former Boxford was driven with a Powertwist belt from a 60mm pulley on AC motorshaft unto the big 90 mm pulley on lathe spindle. A 2.5kW VFD made belt changing superfluous. Noise was next to none from 60 to 1400 rpm. I have had both a A model and an AUD and think the A is the one to look for. Is noise your only critera for choosing between 2 pole and 4 pole? As you want to run down to 60rpm I would be more interested in which of the two will give the better torque and which will be happier running at a very slow speed with regards to cooling as well as power, long running at 150rpm motor speed won't be ideal. For a couple of years my Boxford had a 1.1kW 6 pole and I did a lot of single point threading at three Hz and with 2 to 3 reduction. Single point threading uses very little power. Many modern motors have a termistor inside that can inform inverter. Can that be had within say 150£ ? I have given away worlds best turning Boxford to a friend ,thrown a lousy Boxford out and given two chinese lathes,WM280 and a WM210 away and mistreat a WM250 for the moment. Next time I fall in love with another lathe I think we make swap .A Lathe for a MZ? That dirt collection problem in ETZ frame is new to me and I sold it many years ago. It reminds me of my four Austin Maxis that all died from rust due to dirt in the front transverse bridge. Front wheel threw mud into a corner. 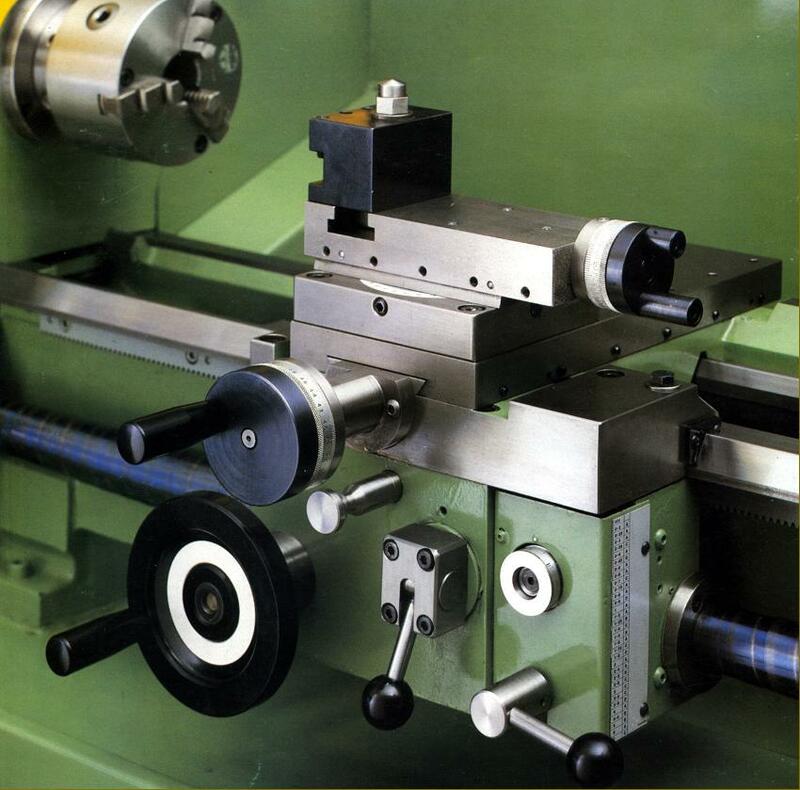 The bench on which you mount your lathe needs to be rigid, if only from the point of view of dimensional stability. I would not expect to get consistent work from a lathe on a flimsy support. All my lathes are mounted on a piece of granite or diabas(dolerit). The black tube is a piece 600/640mm PEHD tube. Motor makes the noise and I want 60 to 1200 rpm by turning a potentiometer anyway. My wish for advise was between two pole and four. How to level BOTH the Myford cabinet and the lathe bed?